When a patient becomes unconscious, hearing is often the last special sense to ‘go’. As a result, many people are taught on first aid courses to always talk to an unconscious patient as if they were conscious. This applies especially if you are moving the patient or performing a thorough secondary survey which may involve exposure down to skin. So what’s the evidence for this recommendation? 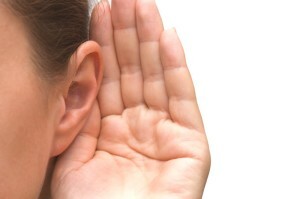 Can unconscious patients actually hear anything? The first study to look at this was performed in 1990. The paper ‘Effects of auditory stimuli on comatose patients with head injury‘ looked at five patients who were comatosed. The researcher (Sisson) found that the patients responded to auditory stimuli despite clinically being in a coma. Since Sisson’s landmark study, other researchers have found similar findings. For example, patients in intensive care have been found to respond when they hear familiar voices. So the evidence seems to support the idea that unconscious patients may retain some sense of hearing. First aiders should make every effort to communicate with patients even if they appear to be unconscious. What does a well stocked first aid kit contain?